PTSD can be very effectively treated with EMDR therapy or CBT. Medication can also be useful. If you have been through an upsetting incident come and talk to us and we will listen and get you through it. Don’t suffer in silence. Post-Traumatic Stress Disorder is a disorder which is triggered by a highly stressful and traumatic event. This can range from a car accident, to sexual abuse to natural disasters. Post-Traumatic Stress Disorder often does not occur immediately after the incident but rather is progressive and occurs sometime after the event. It is important for individuals with Post Traumatic Stress Disorder to seek help as it can lead to further issues developing such as substance abuse and depression. If you believe you are suffering from some of the symptoms stated above therapy may be beneficial to you. 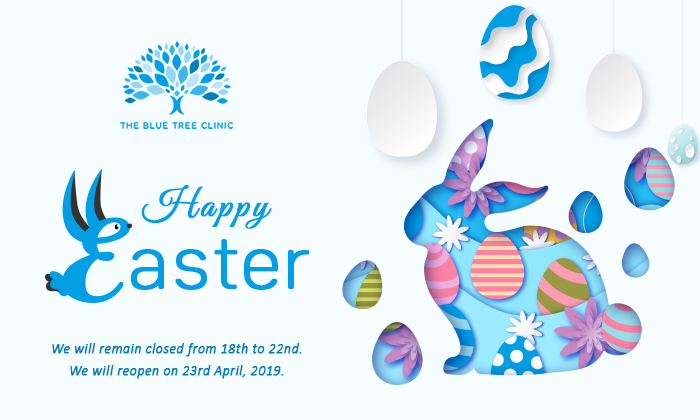 Here at The Blue Tree Clinic our therapists and doctors are here and ready to help you deal with your Personality disorder. What are the types of Post-Traumatic Stress Disorder? Post-Traumatic Stress Disorder can be extremely difficult to live with. It can make day to day life hard to cope with and basic tasks near on impossible. Therapy can help you by teaching you strategies to cope via various tools and techniques which have been previously found to be successful as well as trying to find the underlying causes and triggers for your Post- Traumatic Stress Disorder. Types of therapy offered for Post-Traumatic Stress Disorder at The Blue Tree Clinic? Here at The Blue Tree Clinic we want to help you overcome your Post-Traumatic Stress Disorder. We have highly trained specialists who have dealt with various types of Post- Traumatic Stress Disorder with a wide range of causes. Our therapist will assess your symptoms to ensure that you get the best possible treatment for you. Your therapist will then work with you to discover the causes and triggers of your Post-Traumatic Stress Disorder as well as looking at ways to help you deal with it. Your therapist will teach you tools and techniques to deal with your Post-Traumatic Stress Disorder as well as giving you guidance on how to deal with your Post Traumatic Stress Disorder outside of the therapy setting.